Offering a highly enviable location and elegant surroundings.The property has recently been renovated to a high standard throughout and is situated in a highly sought-after location. Rich original features and all the comfortable life. Boasting bright, capacious rooms and fresh, elegant interiors.Please feel free to contact our consultant. 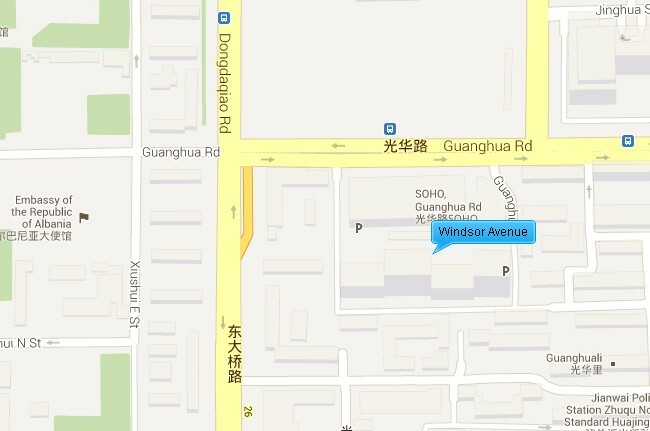 Windsor Avenue offers a peaceful residence in the heart of the bustling CBD area, neighboring the China world center and Kerry center, and near to the CCTV headquarters. It is surrounded by international shopping malls, schools, restaurants, supermarkets and hospitals, amongst them Xiushui silk market and Sanlitun village are both within walking distance. Located in the CBD of Beijing, between 2ring and 3ring road, Windsor Avenue is surrounded by Kerry Center, International Trade Center , Jingguang Center, Hanwei Plaza, Blue Island Tower, Jianguo Hotel, is opposite the first embassy district. Its location is predominant.